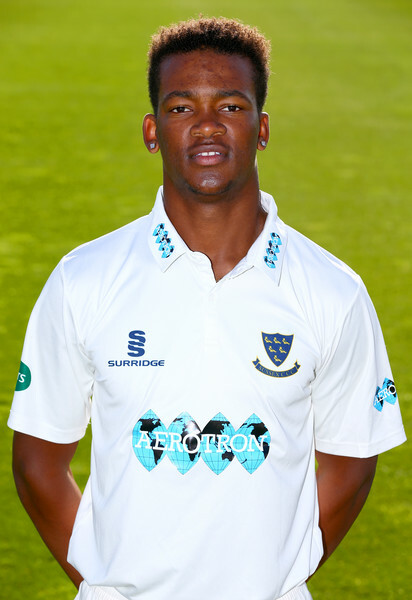 It is difficult to slip under the radar when your name is Delray Millard Wendell Rawlins, and Sussex's big-hitting Bermudan has made no attempts to do that in his fledgling career, according to Matt Roller from cricinfo. His record in this year's Vitality T20 Blast might not look spectacular in its own right - 164 runs at 27.33 and a strike rate of 147.74 - but it would be foolish to view at Rawlins' career to date through the lens of numbers alone. After all, this is a man who made his international debut as a diminutive 15-year-old; a man who was picked to represent the South after just one List A game; and a man whose innings in Sussex's quarter-final win against Durham caught the eye of so many fans that he had to turn off his Twitter notifications. It has not taken long for him to garner the reputation of being a big-game player. "There's a bit of banter going around in the changing room that I like the TV cameras," he admits, "and I suppose it's a nice trait to have. "But I'm just trying to put in performances for the lads, whether it's on telly or not, and trying to show that I'm capable of playing at this level. Thankfully, it's come off." It may just be 'banter' as far as he is concerned, but Rawlins has quickly developed the knack of playing attention-grabbing innings at the perfect time. His debut in the shortest form came in front of 20,000 fans at Lord's, and his 35-ball 49 featured a reverse-swept six off Ashton Agar that stunned the majority into silent disbelief. A televised 35 against Glamorgan followed two weeks later in the first of three must-win games for Sussex in their quarter-final bid, and if a hold-the-pose straight drive down the ground in that innings at Chester-le-Street was the main cause of his phone's explosion that evening, his calmness in a match-winning partnership with Laurie Evans was that of a seasoned campaigner. That is not to say that Rawlins has let the attention get to his head. "You'd be lying if you said you didn't look at social media a little bit," he says, "but I try to approach every game the same - it's just another game of cricket really. "I just try and back myself and my ability. Luckily, it's come off for me so far, and hopefully I can just carry on like I have done." Something else that sets Rawlins apart is the regularity with which he hits early boundaries. His strike rate after five balls of an innings is 196.29, making him the world's fastest starter this year after Birmingham's pinch-hitting opener Ed Pollock. Of course, it is a high-risk strategy to target quick runs from the word go, as evidenced by a pair of first-ball ducks against Gloucestershire and Middlesex in Sussex's critical last week in the group stages, but Rawlins says he sees that as his role in a team that lacks the batting depth of some teams in the competition. "When I bat, if I see a bowler I like, I try and take it on, and this year most of the time that's come off for me. I just want to take as much pressure as I can off the other end. Most of the time that's been Laurie Evans, who's been outstanding for us this year, so if that's hitting early boundaries and running hard then that's my role." While Sussex might lack batting depth - Rawlins started the competition out of the side, and might not be playing but for a horror tournament for the New Zealand overseas player Tom Bruce - they have heaps of star quality with the ball to make up for it, and the laid-back feeling around the club is one of confidence rather than complacency.